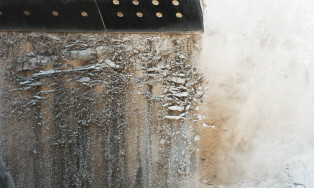 Lime increases fertiliser efficiency. When you lime an acid soil you raise the soil PH, raise the levels of calcium and magnesium, accelerate micro-biological activity and increase the rate of release from the soil of organic matter and nutrient elements. Nitrate production and nitrogen fixation by the nodule bacteria on legume roots increases. Lime in the soil supplies calcium and magnesium essential to plants. Lime improves soil by breaking up clays and rendering them more friable.